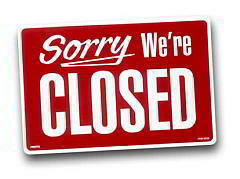 [Edit: Effective August 27, 2012, the forum is CLOSED temporarily for new essays. Please enjoy looking around and reading the great comments and essays, but for the moment, we are NOT ACCEPTING any new essays. People love to get comments on their essays. Negative ones are probably more useful than positive ones. We all have the same goal - to write clearer essays and get a higher score, so feedback is very useful. It's fine to give comments on a part of an essay - the introduction or the conclusion or one or two of the paragraphs. If you don't have much time to comment, just write a sentence or two about how the other person's essay made you feel - if it was easy to read, hard to read, needed a better introduction, needed a topic sentence. If the essay has one problem e.g. long sentences, weak organization or poor vocabulary choice, then focus on just one problem. Give one example and suggest a better rewrite. Microsoft Word has a spellcheck, so there's no need to correct spellings or basic grammar. Before posting their own essays, most people here check them for basic errors. A machine can correct spelling errors - we need humans to suggest better ideas or better organization. You don't have to cover grammar AND punctuation AND ideas AND organization AND vocabulary. I sometimes do try to cover everything, so it can take me an hour or more to give feedback on an essay. But even five or ten minutes from you would be really appreciated by another writer. You should be able to choose the Rich Text Editor (see the picture below) by going to your Profile, then Options, and then Edit Posting Options. I use the Rich Text editor. To quote someone, I use the 7th button (see the picture). Now I only use two colors - Maroon for headings and corrections, and yellow background for mistakes. Too many colors is confusing! When posting an essay, put a short (4-9 word) summary of the question in the Topic Name box, and then write the full question at the start of your essay. It will help fix the topic i n your mind. Here's how to tag essays so that people can find related essays easily. After you copy-and-paste your essay into a new topic (Add Topic) in the forum, click on the Get Suggested Tags From 'Local Tags' button. New tags will be added automatically based on your essay content. You can then add your own tags or delete irrelevant tags by typing in the 'Topic Tags' box. Tags should only be one or two words long. Don't add phrases or sentences. Separate tags with commas only. If you forget, don't worry - I usually check tags once a week or so and fix them.